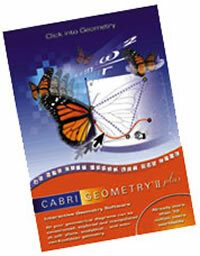 Cabri II Plus single user licence for either Windows 98, ME, NT, 2000, XP, Vista, Windows 7, 8, 10, 16MB RAM; or Apple Macintosh OS 9.2 and above, Mac OS X recommended. Includes introductory manual. Available from Chartwell-Yorke in the UK and Ireland.